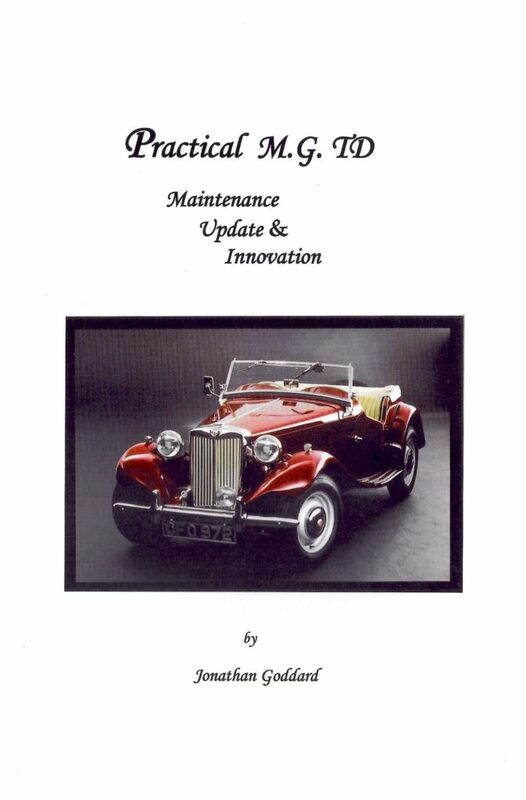 This is a revised edition of Roger Wilson’s original booklet published by the MG Car Club T Register in 2012. 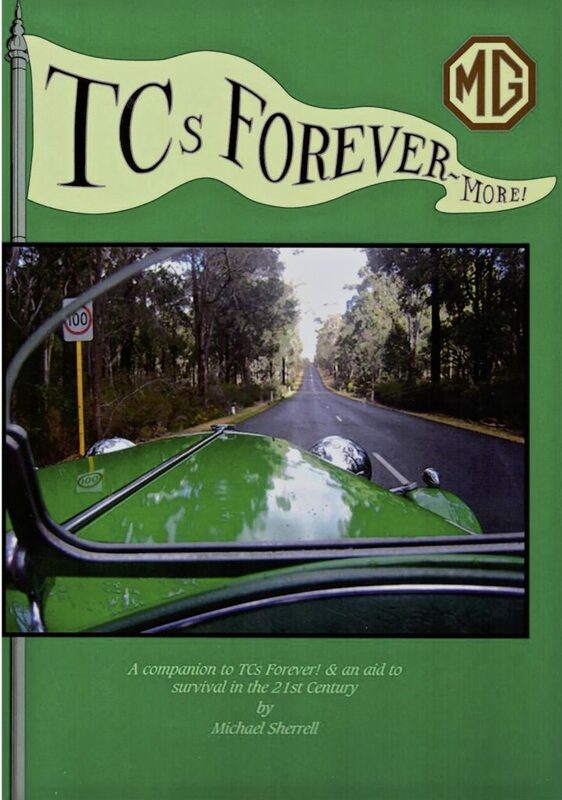 Due its popularity it is now into its 2nd reprint which includes minor additions. 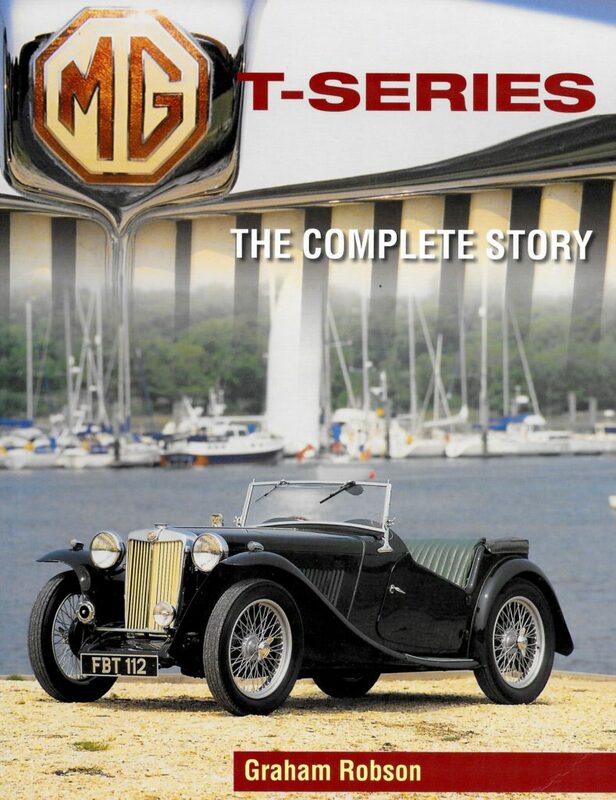 Introduced in 1936, the T-Series carried the MG story forward another stage, turning MG into a bestseller both in the USA and the UK. 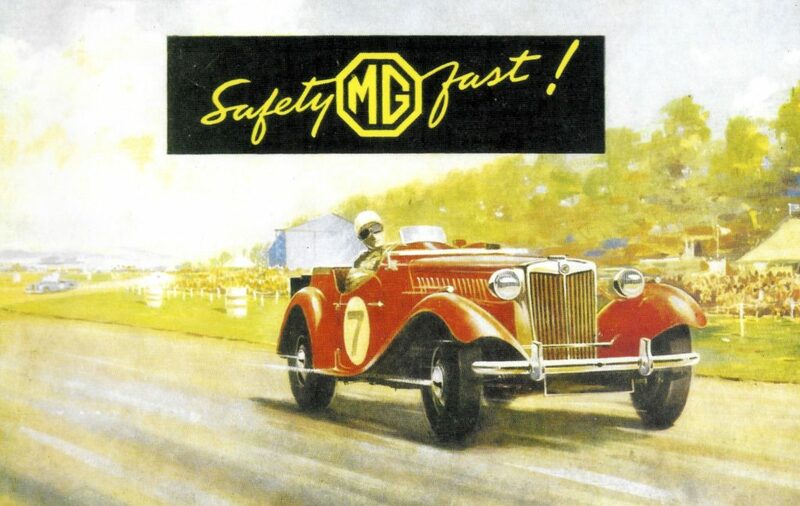 By Graham Robson, the independent writer, historian and broadcaster with a long career in the motor industry and close association with MG.
Another fine T Register publication, written by TD/TF Technical Adviser, Barrie Jones. 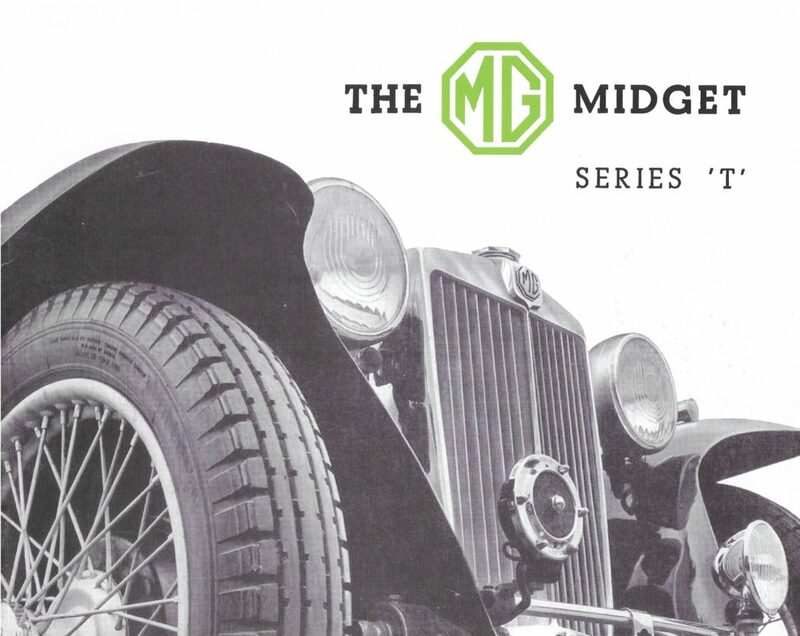 A ‘must have’ to help you keep the front end up to scratch. This scanned copy of the Joseph Lucas Publication No. 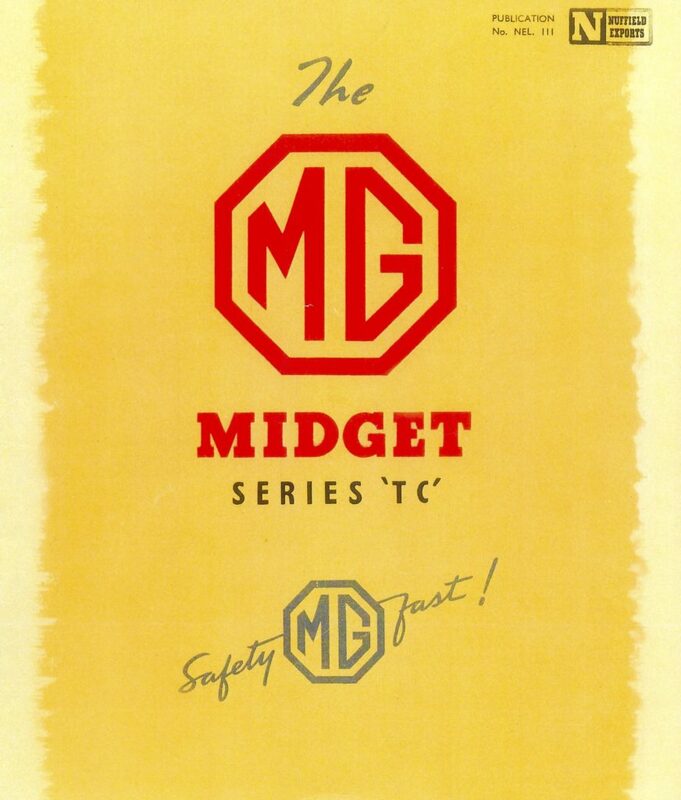 CE468 dated December, 1949, covers the car equipment details and spare parts for the TC Midget, including the export models supplied to the USA. 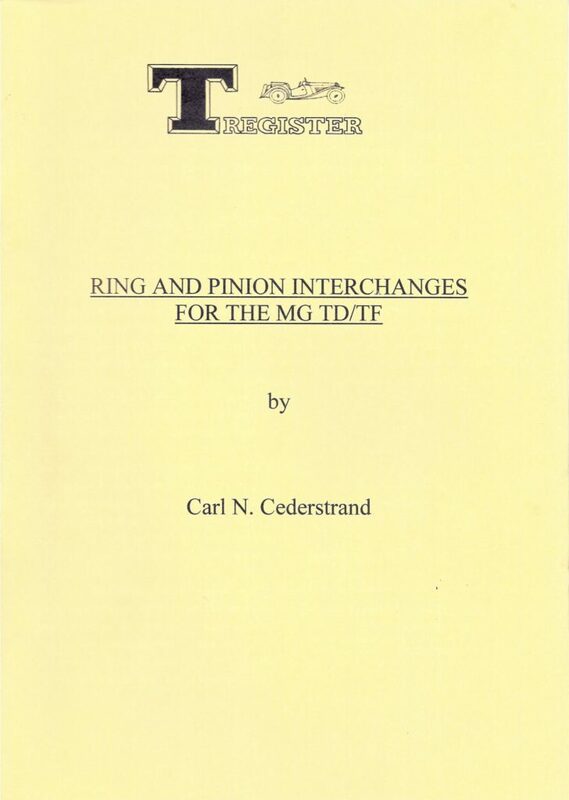 Carl Cederstrand has given the Register permission to reproduce his booklet ‘Pinion and ring interchanges for the MG TD/TF’. Whether you wish to simply replace and reset your pinion bearings because of excess play in the diff, or to completely rebuild the axle with a higher ratio crown wheel and pinion, this publication is invaluable. 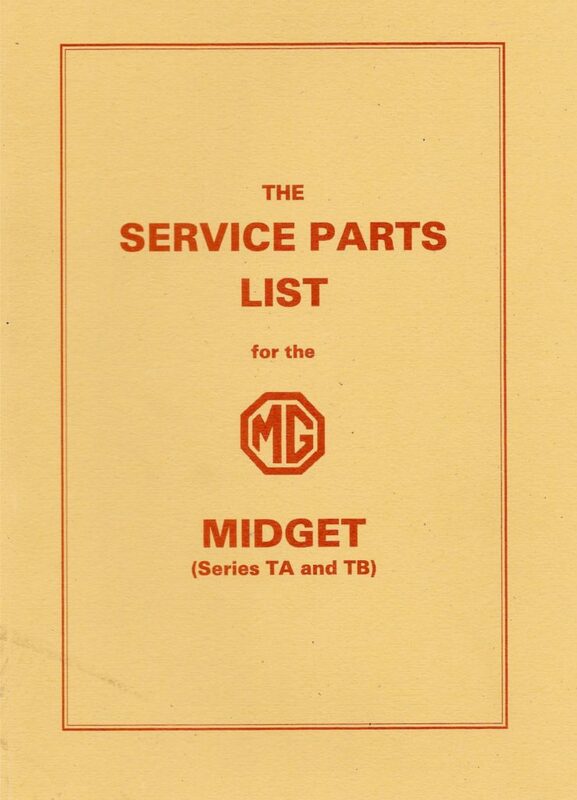 A reprint of the original TA/TB Service Parts list. The T Register is all too aware that there are those with T Types who are not experienced at working on them. 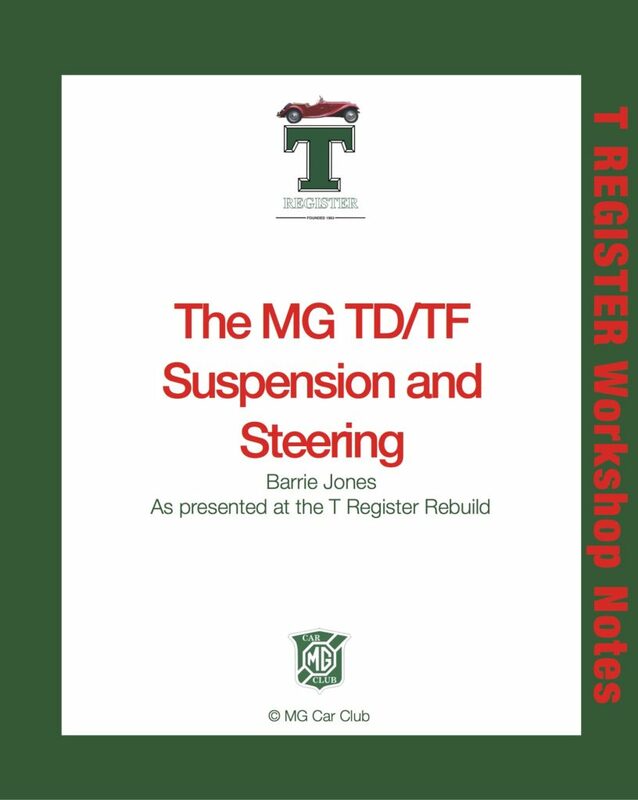 This book is written by Jonathan Goddard, an enthusiast who has rebuilt his TD from the proverbial box of bits, making improvements and non-intrusive changes for better safety, reliability and enjoyment as he did so to make the car more useable in modern conditions. As such it provides a useful insight into what is involved in working on a T Type and, in particular, a TD from the perspective of an enthusiastic amateur. 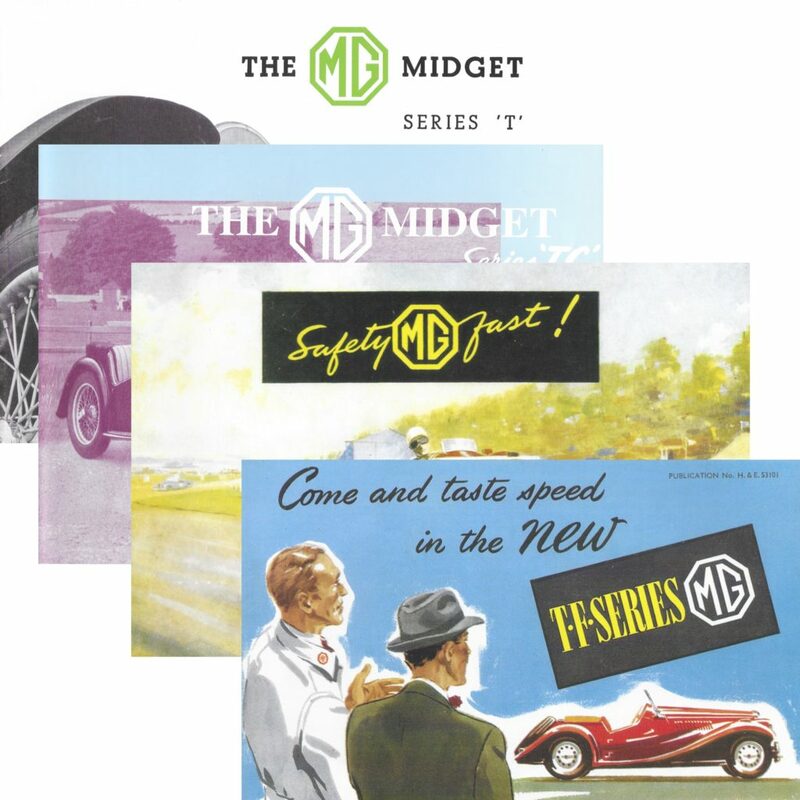 A high quality reproduction of the brochure which introduced the MG Midget Series T.
This is a reproduction of the May 1946 TC Sales Brochure at a fraction of the cost of an original. A good original can cost £100 or more. No. H. & E. 53101. It opens out to approximately A2 size (450mm x 550mm). 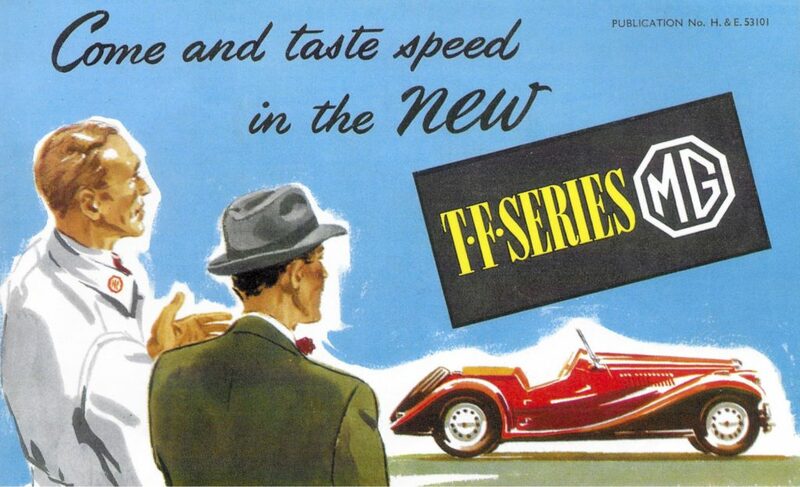 The brochure is written as if one were on a test drive with the salesman extolling the virtues of the new TF to his prospective customer. The style of the language is delightful! 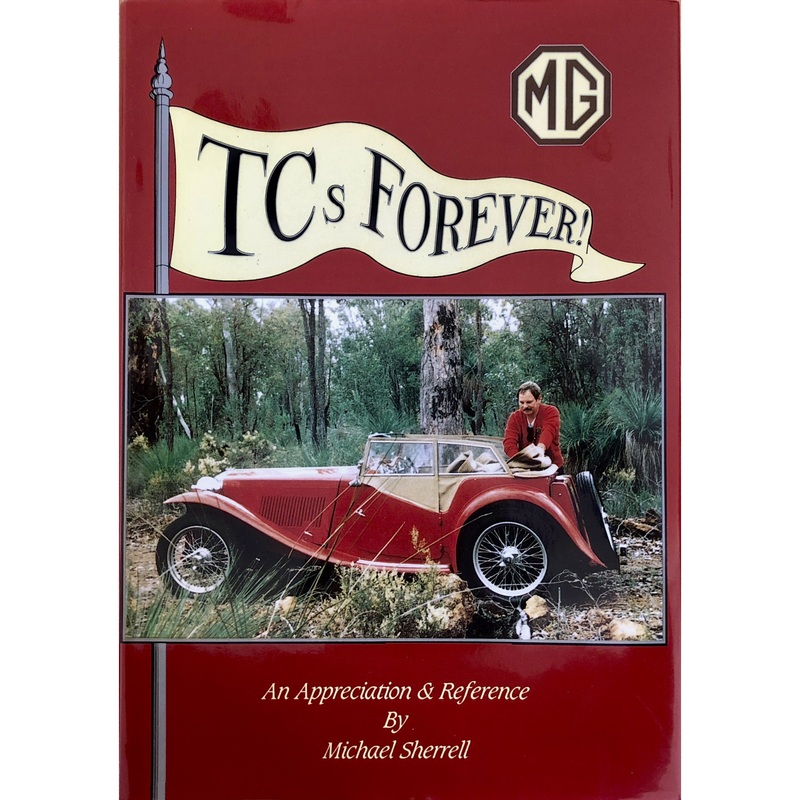 If you own a TF this is a ‘must have’ item. This is a bundle of all four reproduced brochures at a reduced total price. 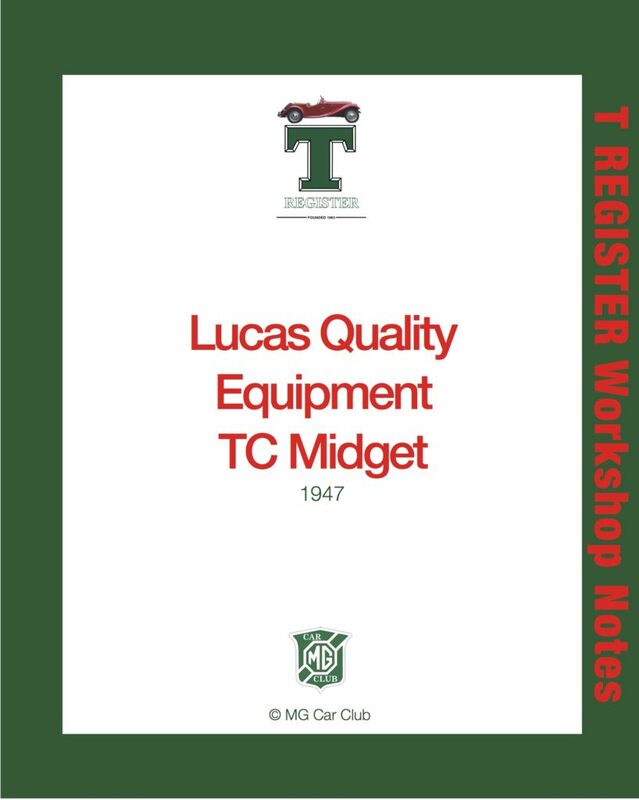 This is a reproduction of the TC Sales Brochure printed for use in those countries the TC was exported to by Nuffield Exports Ltd. 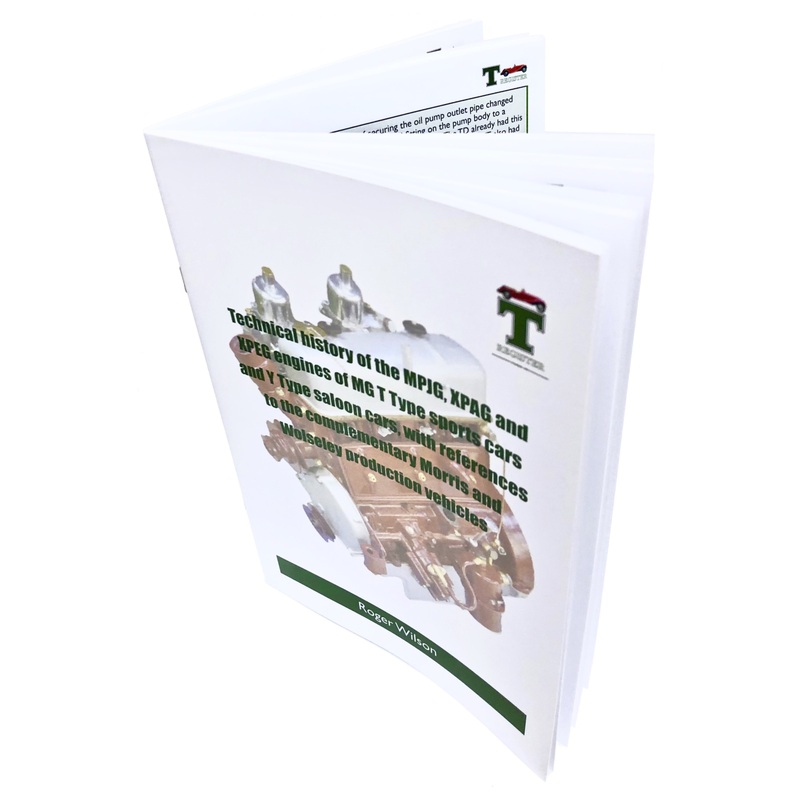 Measuring 8.5×10 inches, it differs from the familiar UK Brochure by having a plain cover with the contents very much internationally focused. 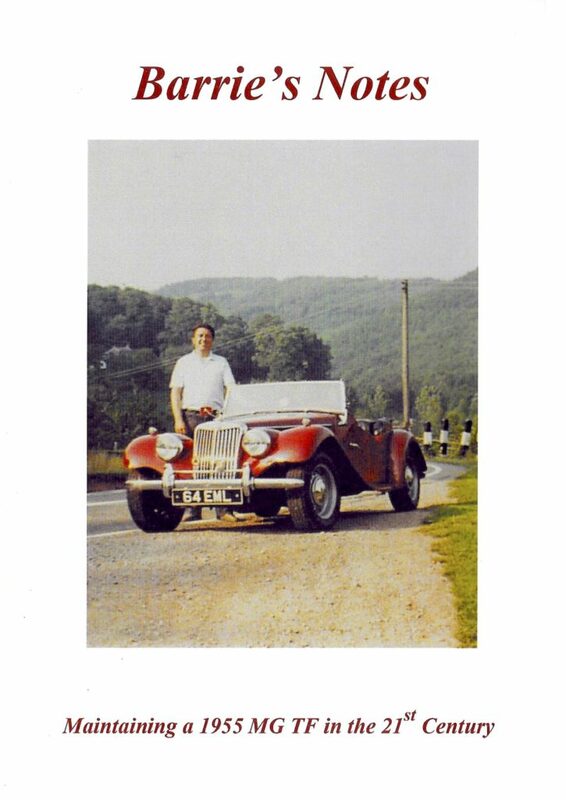 Pages list overseas class records and competitive successes and include photos of TCs in action across Europe and the USA. 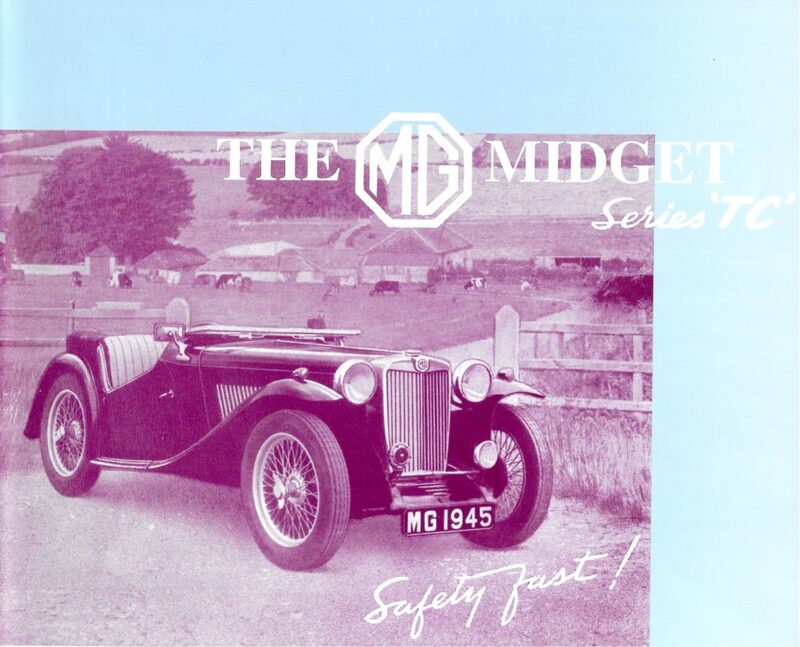 However, the specification and features pages look much the same as those in the UK Brochure.